We understand business. We are business people who work in the field of HR, not HR people who have gone into consulting. Our approach is to first identify the needs of the client. 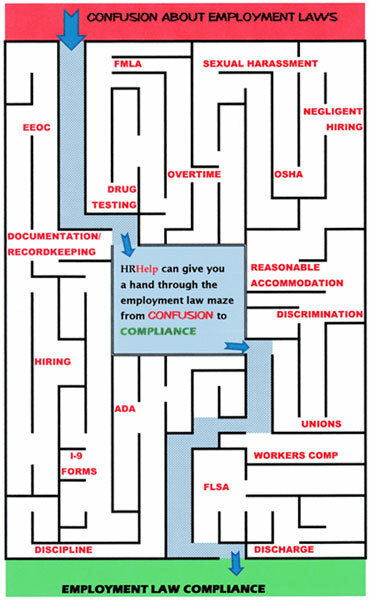 Then, we find a solution that meets the needs of the business, while minimizing the risk of non-compliance violations. Services are usually provided on a fixed-cost (project) basis. The cost is agreed to at the beginning, so there are no surprises. We provide free phone consultations. We would rather answer a question to prevent a problem than have a client wait to call until after a problem has arisen because s/he was worried about being invoiced for the call.